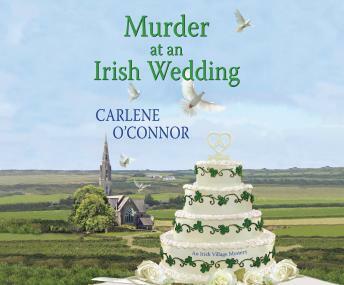 Listen to "Murder at an Irish Wedding" on your iOS and Android device. Any wedding is a big deal in the small village of Kilbane-even more so when the bride is a famous fashion model. It's also good for business; Siobhan O'Sullivan's bistro will be catering the three-day affair. When the drunken best man is disinvited, Siobhan's own beau, Macdara, gladly steps in. But finding the original best man murdered in the woods casts a pall over the nuptials. And when a second member of the wedding party is poisoned, Macdara goes from being best man to prime suspect. With a killer at large and a string of robberies plaguing Kilbane, Siobhan vows to clear Macdara's name. But like the bride walking down the aisle, Siobhan needs to watch her step.